painting by Paul Flandrin (1811 - 1902). 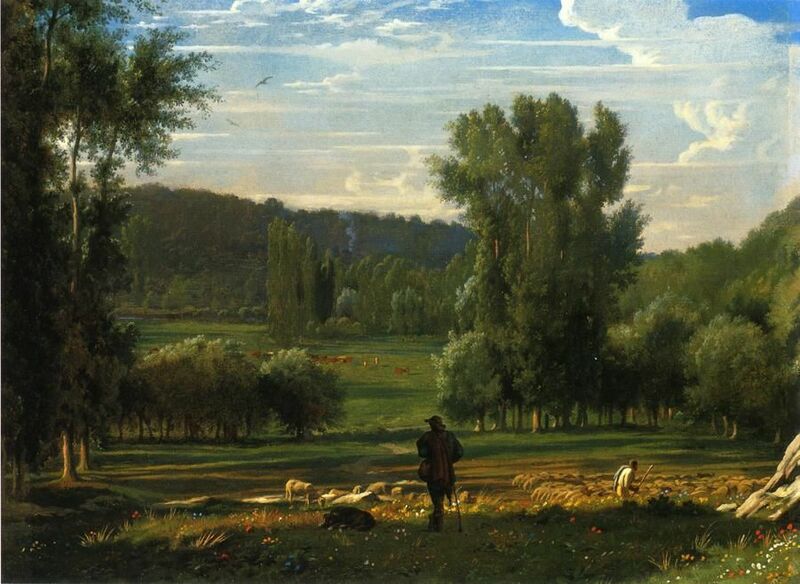 Of the two painting Flandrin brothers, Paul was far more oriented to painting outdoor scenes, and devoted great attention to realistic foliage. His scenes tended toward wilderness, with few if any figures; often painted sites that looked the same as they must have before humans were ever on the scene. The sky casts a beneficent glow in this image, allowing a fellow to lean on his staff for a moment and take some contentment in nature.